The Association of Medical Media (AMM) is a non-profit organization, whose name reflects its membership: medical publishing firms, content providers and associated companies in the medical communications field. The members of AMM share a commitment to editorial integrity, professional sales standards, and the promotional value of medical advertising — both print and online. AMM is dedicated to fulfilling our clients’ integrated needs through programs designed to show publishers and advertisers the synergies, efficiencies, and strategies for print and online marketing. Through regular networking opportunities and our unique industry partnerships, we aim to be the leader in the future development of medical media. 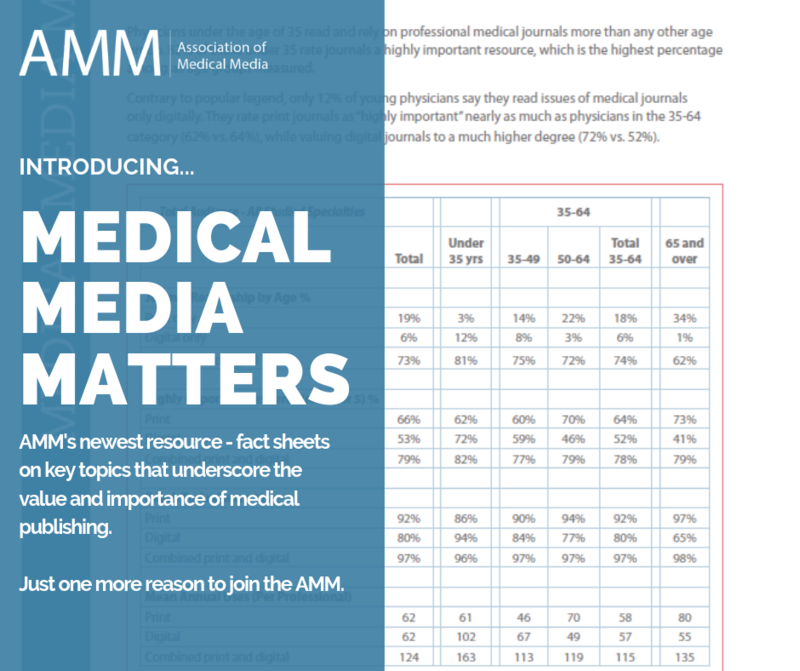 AMM's newest resource - fact sheets on key topics that underscore the value and importance of medical publishing.